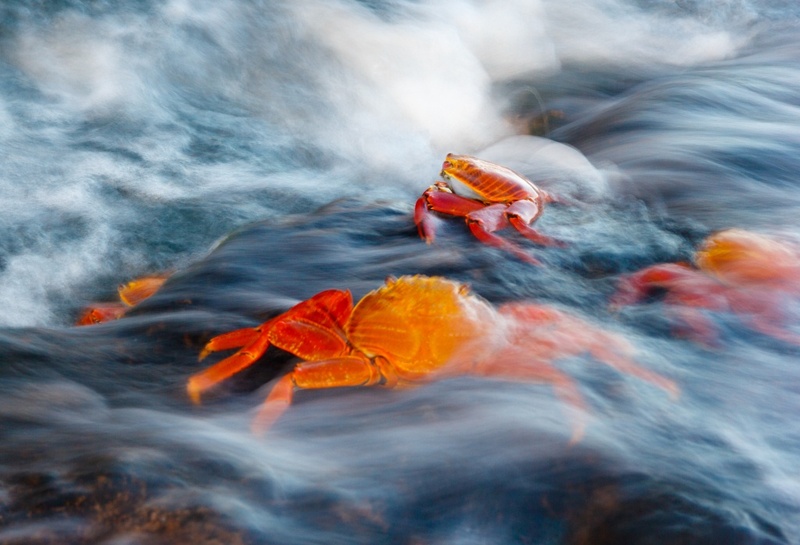 The brightly-coloured Sally Lightfoot crab is a common sight along the shores and beaches of most islands. 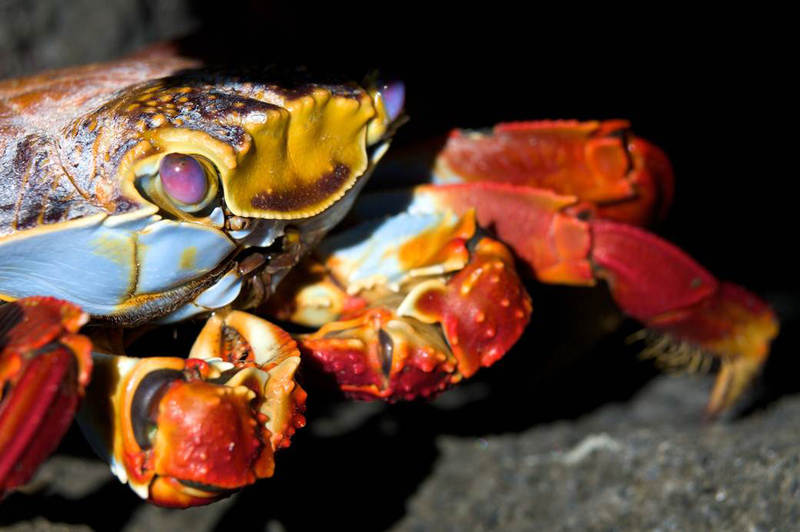 Sally Lightfoot crabs are brightly-coloured coastal scavengers, found in the Galapagos Islands and across the western coast of South and Central America. They have an extremely generalist diet, feeding on anything from sea lion placenta to other crabs. This makes them an important part of the ecosystem, as they provide services such as keeping the shore clean of any organic debris and eating ticks off marine iguanas. They are rumoured to have been named after a Caribbean dancer, due to their agility in jumping from rock to rock, their ability to run in four directions and their capacity to climb up vertical slopes. This extreme agility makes them very difficult to catch. 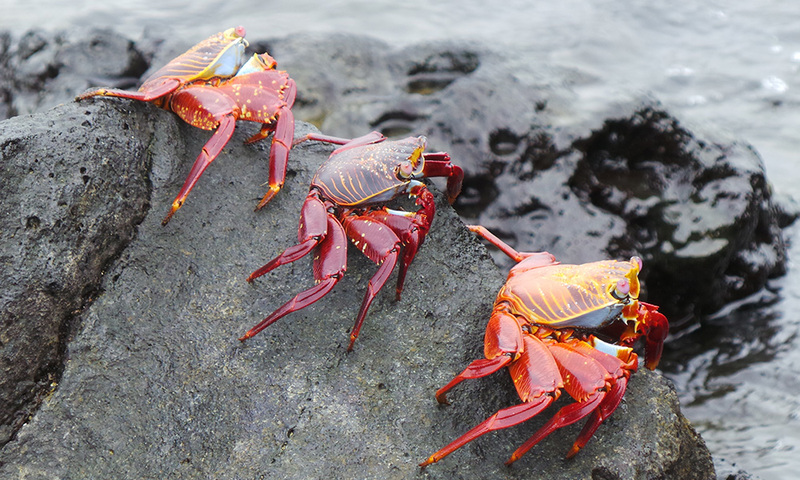 Adult crabs show characteristic intense blue and red colouring on their shells, with a white or pale blue underbelly. Younger crabs have darker colouration with red spots, providing a higher degree of camouflage. Every time the crabs moult their shell, the spots become gradually larger, until they obtain the adult colouring. Female Sally Lightfoot crabs carry their eggs around with them on their stomachs until they hatch into the water. The larvae then swim out to deeper waters, where they consume phytoplankton and undergo a rapid series of moults. Eventually they undergo metamorphosis to become juvenile crabs and swim to shore, where they start to scavenge, becoming bigger and more colourful with each moult. These juveniles tend to travel in large groups until they reach maturity, after which they become largely solitary when not mating. When they are not mating or feeding, the crabs spend their time hiding in cracks in rocks. If they are disturbed, they may spray water or shed one of their legs as a defence mechanism. Where to see them: They can be seen feeding in large groups on most beaches and in shallow water all around the Islands. When to see them: Primarily during the day time, at all times of year. Threats: Galapagos lava herons, octopuses and tuna are native predators but they are also preyed on by introduced rats, cats and dogs. They could also be at risk from marine plastic pollution. Conservation Actions: There are currently no projects specifically focused on the conservation of Sally Lightfoot crabs. We are working with partners, however, to assess the risks of marine plastic pollution to wildlife as part of our Plastic Pollution Free Galapagos programme. Help protect species like the Sally Lightfoot crab by donating to our plastic programme today! 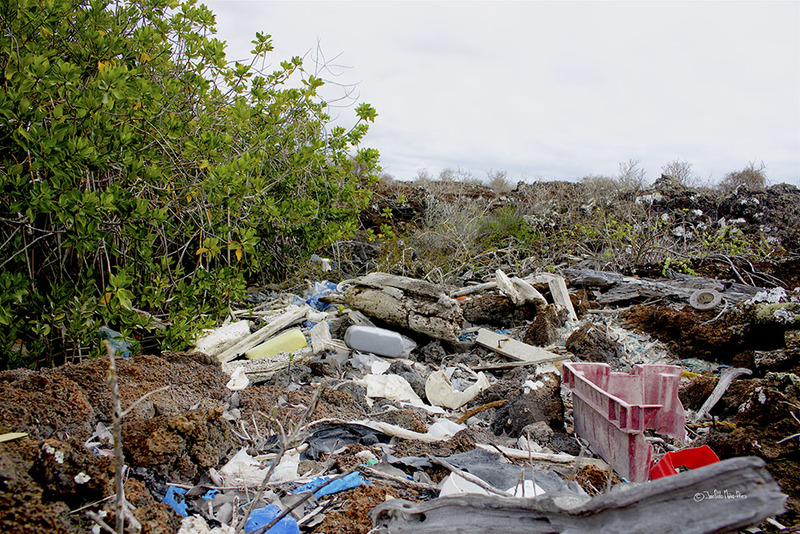 We are working with partners towards a 'Plastic Pollution Free Galapagos'.